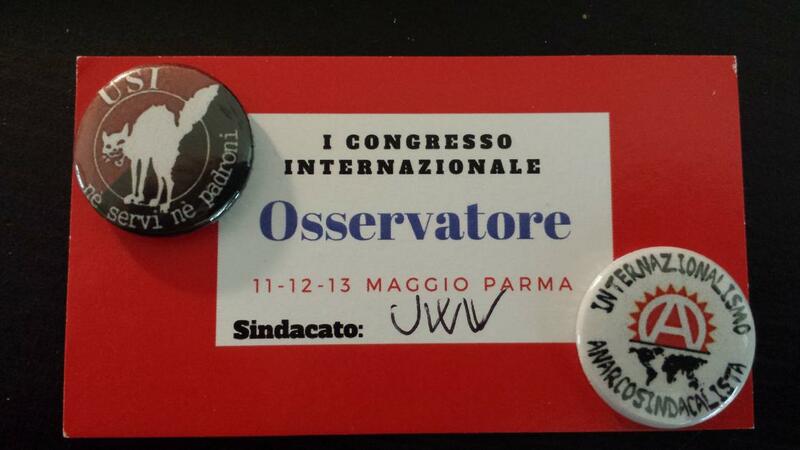 United Voices of the World was proud to be invited to Italy last week to observe the founding Congress of the International Confederation of Labour, a new initiative to unite independent unions and workers’ organisations across frontiers. 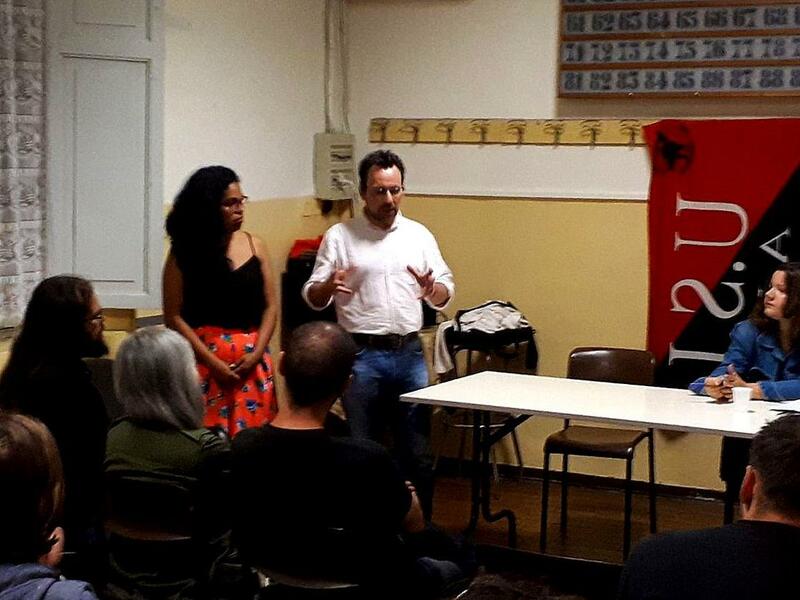 UVW representatives Claudia Turbet-Delof, Juliana Salgado Vega, Wilson Tovar and Paul Salgado joined other union activists and organisers from 17 countries at the Congress in the city of Parma. Delegates and observers from Greece, Brazil, Morocco, Bulgaria, Netherlands, Belgium, Germany, Italy, Catalonia, Spain, Poland, United States, Canada, France, Austria and Argentina sent solidarity messages or attended the Congress, which was organised at the headquarters of the Italian independent USI union. Anna Baum, an organiser with the German Free Workers’ Union in Berlin, explained that the new confederation intended to share resources and information across frontiers among independent unions, focussing on workers who work for the same corporation, but in different countries. ‘An emphasis will be made on sharing campaign aims, for instance in fighting for a collective agreement across sectors that includes protecting migrant workers from immigration checks,’ Anna reported. There was discussion about coordinating research on international labour laws, and an idea to register the confederation with the International Labour Organisation so as to be able to take cases of abuse of workers’ rights by multinational corporations to international tribunals. 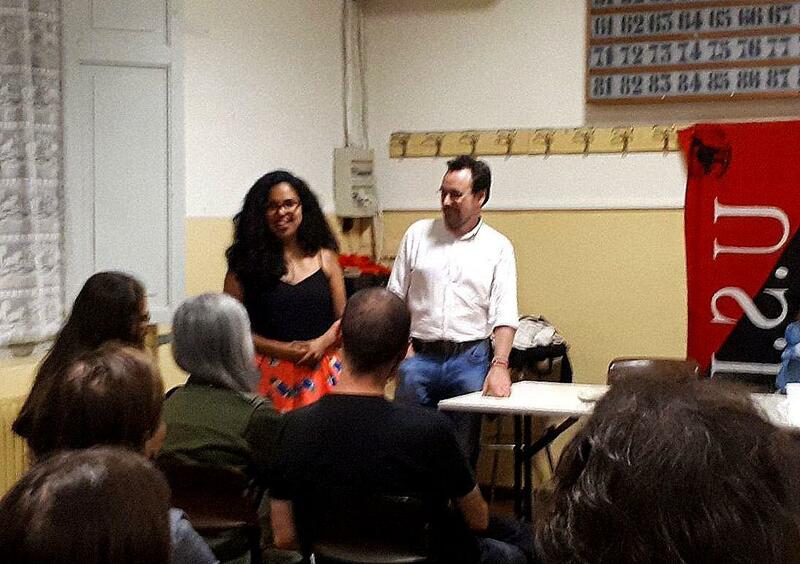 Several union activists from Catalonia, Brazil and Greece emphasised how workers are more frequently organising wildcat strikes, road blockades and other imaginative acts of resistance to counter the lack of response from official trade unions and traditional political parties which have failed to defend workers’ interests. Mass workers’ migration across frontiers, combined with the increasing ease of communication technology that allows these workers to stay in contact with struggles back home and connect to struggles in their destination country, mean that independent unions and collective organisations should step up their cooperation and, in the words of Bulgarian Autonomous Workers’ union organisers, ‘look towards building an international resistance movement’.